but Becker Associates will always be here. Governing and managing non-profit organizations and associations is difficult with volunteers and a small staff. Inherent challenges mean that to get the job done, you need outside help. Becker Associates consulting services give cost effective solutions for non-profit organizational challenges. Our approach focuses on creating lasting change and building capacity so that staff, board members and volunteers are more effective in implementing visions and missions. Boards can lose momentum in implementing plans due to the annual challenge to create continuity from one board team to another, and to introduce new board members to the organization. We provide a unique 3 hour training and facilitation tailored to your particular needs and struggles. Combining essential board training and a facilitated discussion on board dynamics, culture, goals, and concerns, the outcome is a solid set of priorities for the next board term. 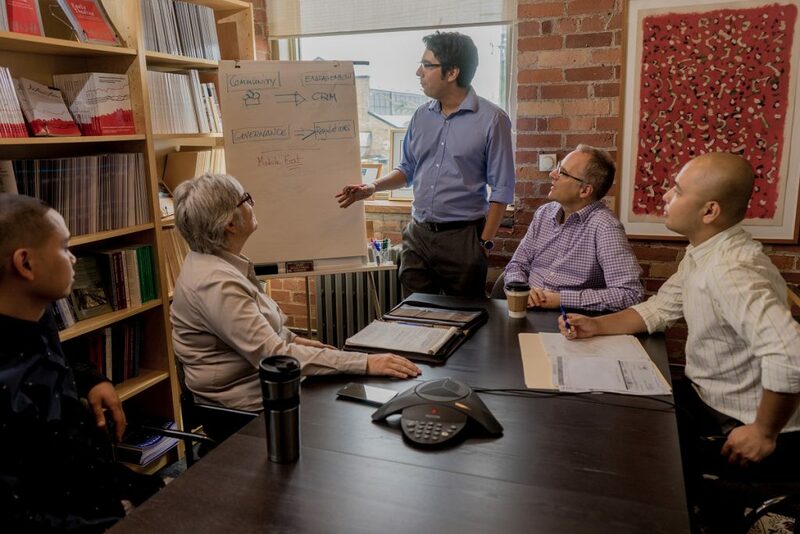 Strategic planning is a key best practice for any non-profit organization and a basic responsibility of your Board. And it has been shown that organizations that plan for the future are more resilient in the face of change, are healthier and more successful. Boards, that do not have clear vision for the future, can easily lose a connection to their stakeholders and lose sight of their central purpose. Our approach emphasizes collaboration, dialogue, success and implementation. We ensure a broad based consultation process to make sure all voices are heard. We focus on alignment of core components of your organization to create an effective board team. Crucial to an association’s effectiveness is the appreciation and understanding of the experiences, needs and opinions of its members. Successful organizations have a pulse on the heart of their membership. We create clear and reflective surveys to assess the needs of your members. What is your message and how do you communicate with your membership? Marketing and communications strategies promote growth, and stability. We create marketing and communication strategies to enhance and rejuvenate your message to your members. Cultivate a deep listening of others in a safe and respectful environment to enhance understanding. We act as parliamentarian for your annual general meeting or any other large group meeting that requires knowledge of Roberts Rules of Order. Here is what people are saying . . ..
– Brenda Scott, Past President Georgian Bay Folk Society. Lovely to have met you the other day at your fabulous and excellent Board Alignment workshop at Brock! Thank you so very much for driving in from Toronto to deliver such an terrific workshop. Your presentation was clear, enlightening, empowering, very helpful and engaging! In our discussions, I heard some wonderful, positive comments from my colleagues that will help serve me in my role as the MusCan secretary and in our collaborative work on this board. Since bringing Becker Associates on board there has been an overwhelming improvement to our financial state, more cohesiveness and greater accountability in our Board processes and procedures, and an overall increase in efficiency of tasks. (416) 538-1650 or get in touch below.